This week’s story is from Boston Noir, edited by the master of crime fiction Dennis Lehane (Mystic River, The Given Day). Here, Lehane extends his literary prowess to that of master curator. Today’s story “Femme Sole,” was written by Dana Cameron who has won multiple awards for her short stories, including the Agatha, Anthony and Macavity awards, and being shortlisted for the prestigious Mystery Writers of America’s Edgar Award. 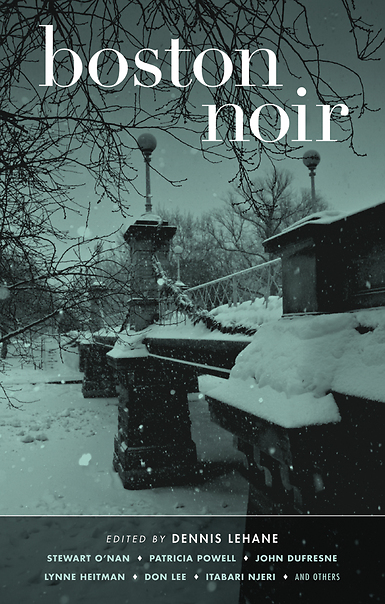 In keeping with the Akashic Noir series tradition, each story in Boston Noir is set in a different neighborhood of the city—the impressively diverse collection extends from Roxbury to Cambridge, from Southie to the Boston Harbor, and all stops in between. The Boston Noir anthology includes stories by: Dennis Lehane, Stewart O’Nan, Patricia Powell, John Dufresne, Lynne Heitman, Don Lee, Russ Aborn, Itabari Njeri, Jim Fusilli, and Brendan DuBois.